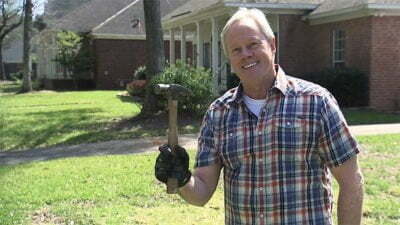 “Today’s Homeowner” host Danny Lipford prepares to flip a hammer 20 times to celebrate two decades in national syndication. For the past few months, host and leading home improvement expert Danny Lipford has offered several online extras for fans who’ve been with the show from the beginning. Among them was the 20 Nail Challenge, which he took in this viral video. Now, he’s moving from nails to hammers! He’s ready to flip a hammer 20 times — and catch it in one take — to top his 13 flips to commemorate the show’s 13th anniversary. Watch the video to see what happens! CELEBRATING 20 YEARS: Check out more exclusive features from the 20th season of “Today’s Homeowner” here!